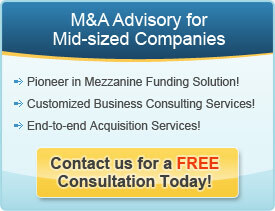 Mezzanine lenders often focus on receiving extensive reporting and information rights. Most deals require the issuer to provide annual audited and quarterly or monthly internal financial statements. In some mezzanine deals, the reporting covenant originates from the borrower’s credit agreement, and requires the borrowers to provide an annual budget to the mezzanine lenders or even to provide certain key operating information more frequently than on a quarterly basis. In addition to receiving the issuer’s information in accordance with the reporting covenant in the applicable debt instrument, mezzanine lenders commonly negotiate for the rights to receive all board materials and to appoint a board observer (or in some cases, a director). Most mezzanine lenders require monthly financial statements as well as monthly or quarterly financial covenant calculations. The financial covenants are defined and the required levels are set in the borrower’s credit agreement and are usually subject to a fair amount of negotiation. In general, as long as the company is performing in line with its projections and the mezzanine loan interest is continually paid, the mezzanine lenders are fine. Even if there is a technical covenant default, the mezzanine lenders are usually comfortable with the loan as long as they believe in the management team and the ability to get the company back on track. Having information and reporting rights is an important element for the lender because their loan is usually under collateralized and not asset backed or personally guaranteed. The best way for a company to deal with the reporting and information requirements is to ensure they have a good accounting department and produce timely and accurate financial statements.